12 Commercial Real Estate and Properties in Central Qld are listed in 5 categories. We have 5 Industrial Warehouses for Sale , 4 Hotels and Leisure for Sale , 2 Offices for Sale , 2 Development Lands for Sale and 2 Retail Shops for Sale . Freehold Inn - Mining Town - Outstanding Hotel/tourism Opportunity $5.5 Million very negotia..
High Exposure Property Must sell - will consider.. Reception area with kitchen with adjoining dining room 3 large offices/bedrooms, large office/storeroom to rear and smaller office located adjacent to reception area Bathroom with shower & tub Storage shed to rear and single lock up garage Air conditioned, recently reconditioned and repainted Ideal property for professional offices Owner is looking for offer $435 000.00 plus GST Please call Your Commercial to arrange an inspection. The Black Rock Inn presents as one of best quality motels in the Central Highlands Region of Queensland. Built in 2013 with no expense spared, this modern motel with licenced restaurant boasts 72 rooms plus manager accommodation, comprising of 68 single bed rooms, 4 two bed rooms and a two bedroom managers' residence. The impressive list of features unmatched by any in the region includes: bull; Twice the room numbers of the average competitor bull; 5 years old with depreciation benefits bull; Licenced bar restaurant with al fresco seating 100+ bull; Modern commercial kitchen with 2 x large walk in cold rooms freezer bull; On site commercial laundry facilities bull; Conference facilities seating 100+ bull; Spacious 2 bedroom managers' residence bull; Secure off street parking bull; Permanent construction methods Based on current average room rates and a modest occupancy rate of only 60%, the accommodation income alone would exceed $2.25mil annually. Added to that, is the additional revenue available from the fully functioning restaurant bar. Already a profitable business, the increasing mining industry demand for accommodation in the area, provides a genuine opportunity for leasehold or freehold operators to build the motel turnover into a large scale, high profit growth operation. Contact Ashley Rees or Warwick Peters for further information or to arrange an inspection. Industrial Land For Sale Or Lease- Huge Price Reduction Contact Col Wilson today! For Sale - Leasehold - Moranbah Town Square Contact Des Besanko today! 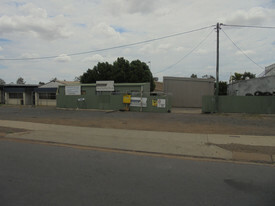 Moranbah Investment Opportunity - 905m2 Contact Col Wilson to ins..
Total land area 905m2 on three titles To be sold on a 13% net yield Stand alone a/c office building 409m2 High profile CBD area in Griffin Street Neighbours Moranbah Post Office Demand remains strong for office space in Moranbah On site secure parking Storage shed at rear of building Fit out plan available on request For more information contact Col Wilson 0429493773 or email col.wilson@rhc.com.au. This well equipped building has been refurbished outside and repainted inside in 2011, Air Conditioned with Offices, Security Fenced Yard on western side of building. The building is Leased with two separate Tenants with one Tenant occupying 230 square metres. The other Tenant occups 196 square metres. Investment opportunity knocks now, call today. Opportunity exists to secure a quality Industrial Shed below cost. Located in the Middlemount Industrial precinct, 673 square metre shed on 1250 square metre block, Office and Showroom space, Large staff room with disabled w/c, Mezzanine level with 4 bedroom accomodation with lounge, kitchen and bathroom. Extra amenity blocks throughout the shed, Large high entry doors, easy access.